AUSTINTOWN - Funeral services will be held Friday at 11 a.m. at the Higgins-Reardon Funeral Homes, Austintown Chapel, for Michael Allen Clay, who passed away unexpectedly Sunday at home. 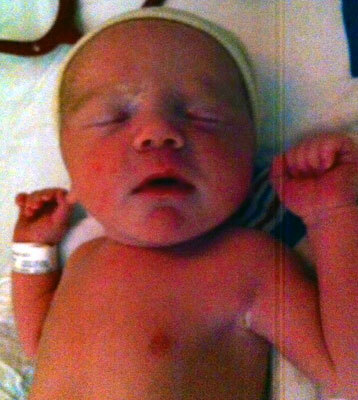 Michael was born Sept. 4, 2014, in Youngstown, to Justin Clay and Sarah Morrison. He will be greatly missed by his parents, both of Austintown; a sister, Alora Thomas; grandparents Jay and Christy Clay of Austintown, Simone Morrison of Alabama and John Morrison III of Louisville; two aunts, Megan Clay and Rachel Clay of Austintown; uncles Kyle and Jason Clay, both of Austintown, Jamie and Launa (Lynn) Scott of Canfield, John Morrison IV and Zachary Morrison, both of Austintown, Brayden Morrison of Louisville, Ohio, and Brian Fraizer of Pennsylvania; and great-grandparents, Linda Clay-Sopp, John Owen, and John and Elizabeth Morrison. Michael was preceded in death by his great-grandmother, Jeannie Owen and uncle Matthew Clay.